Betfair trading software allows you profit no matter what happens at the outcome of an event. Learn more. 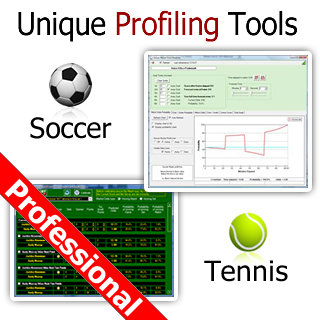 In addition to many exciting features Bet Angel Professional contains unique soccer, tennis and racing tools. Get prices ten times faster using the very latest Betfair streaming technology. .
Easy to use automation with tons of templates for all sports to use. Full Excel spreadsheet integration. We offer products for the beginner to the advanced trader. With free versions and trials. Compare our products here. Manage and trade many markets all at once, manually or automatically, using our unique Guardian feature. Back bet only partly matched - how can I guarantee it is fully matched? Would fill or kill help? What typical amount do you put on a back bet? Can anyone rewrite this rule for Betdaq, please? Automation still firing bets in after Greening up!!!!! 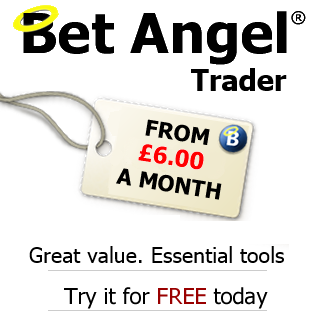 To keep up to date with the latest news and views on Bet Angel and the Betting Exchange world fill in your details here and click the Sign Up button. 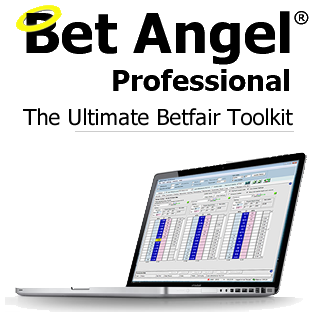 Bet Angel is the premier software for trading on Betfair. 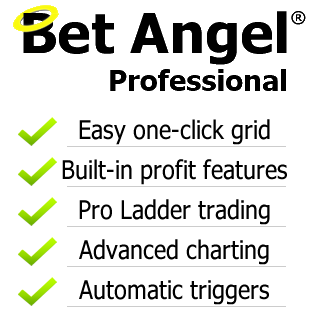 Used by professionals all over the world, Bet Angel has been developed by traders who use it as their primary tool. 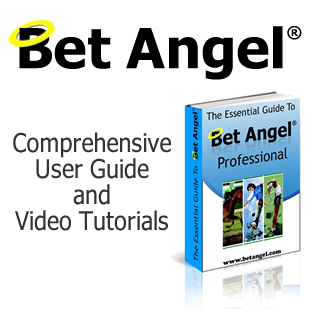 Introduced in 2004, Bet Angel is constantly developed with more features and improved performance over any alternative software. Learn how to trade on Betfair with the Bet Angel Academy. Personal tuition and group courses available. An freely available and extensive library of videos are available on our YouTube channel.